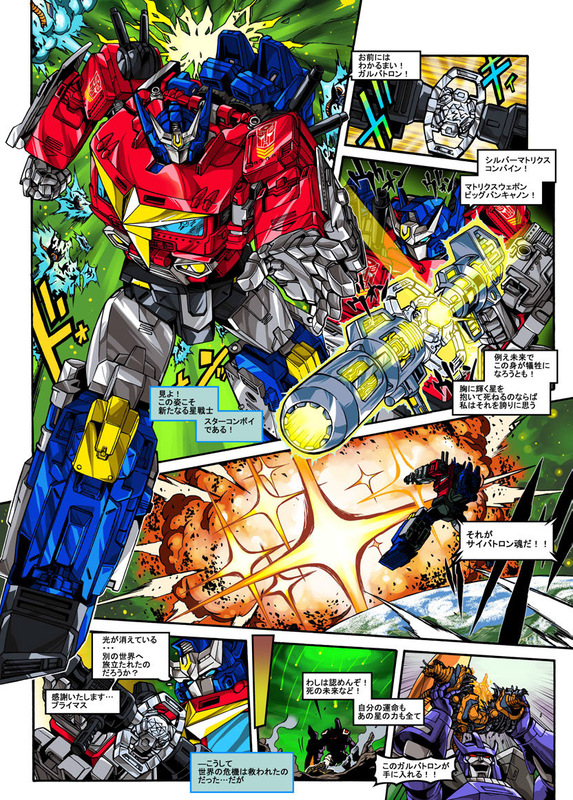 Takara Tomy Mall has just uploaded the*Transformers Generations Select Star Convoy Web Comic/Manga on their listing for the toy. This time is a very short 2-page story that features G1 Convoy (Optimus Prime) and Galvatron facing Unicron and some monstrous and strange creatures. Convoy (Optimus Prime) transforms into his Star Convoy form combining his Matrix with his blaster (a gimmick seen in the toy) to finish the enemies. You can download the pdf file here*or you can check out the mirrored images after the jump. Then sound off on the 2005 Boards! The post Transformers Generations Select Star Convoy Web Comic/Manga Available appeared first on Transformer World 2005 - TFW2005.COM.